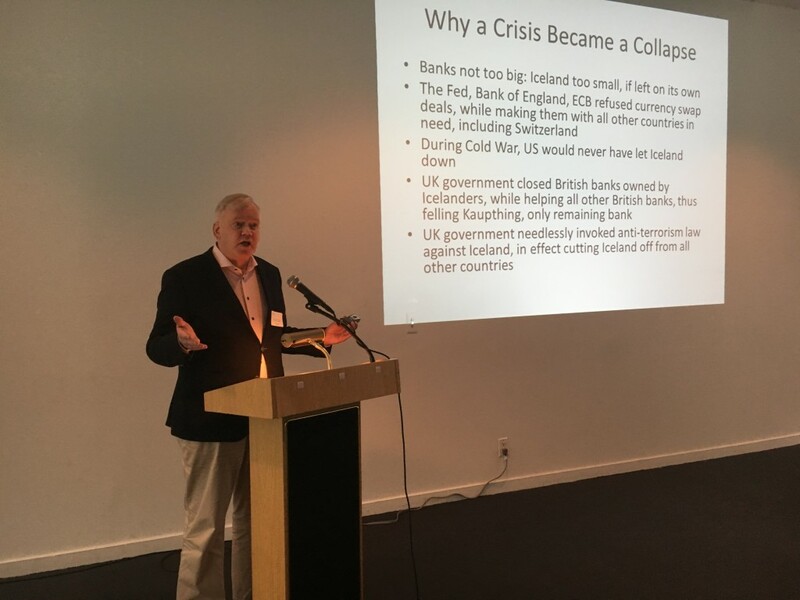 RNH Academic Director, Professor Hannes H. Gissurarson, gave a lecture at the Icelandic-American Chamber of Commerce in New York 7 April 2016, on Iceland and the Anglo-Saxon Powers. Professor Gissurarson described the relationship between Iceland and Great Britain from 1412 when the first English fishing vessels appeared in Icelandic waters until 2008 when the British Labour government invoked an anti-terrorism law against Iceland and brought about, or at least contributed to, the Icelandic bank collapse. He discussed a few Britons who had an impact on Icelandic history, including Sir Joseph Banks, a great friend and benefactor of Iceland, Sir Eric Cable, British Consul during the First World War (who practically ruled the country), and two Labour leaders, Gordon Brown and Alistair Darling, and the actions that the two of them took against Iceland. Professor Gissurarson also analysed the relationship between Iceland and the United States, the 1941 Defence Agreement (whereby a US military force replaced the UK occupation force), the 1951 Defence Treaty (which established a US military base in Iceland), the 2006 departure of the US military force and the almost total lack of interest shown since then by US officials about the fate of Iceland. 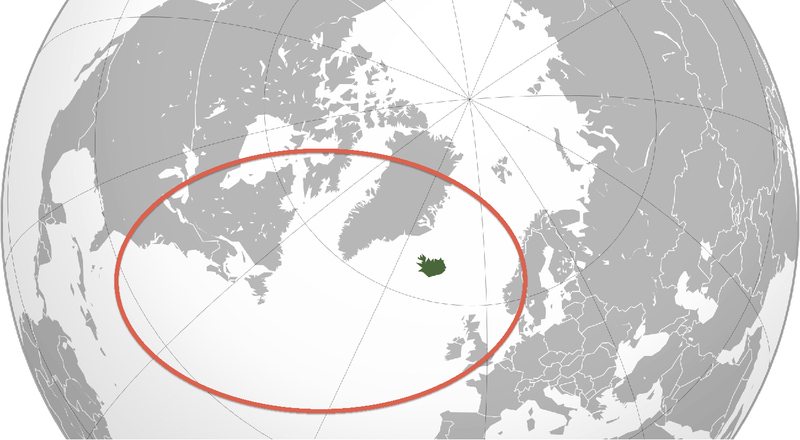 His conclusion was that nevertheless Iceland should seek closer cooperation with her neighbours in the North Atlantic, the US, Canada, Norway and the UK. After the lecture, Professor Gissurarson attended a dinner with Einar Gunnarsson, Icelandic Ambassador to the UN, prominent banker Thor Thors (son of Thor Thors, longtime Icelandic Ambassador to the US) and others. Ambassador Gunnarsson was Permanent Secretary in the Icelandic Foreign Office during the bitter dispute between Iceland and the UK in 2009–10. The lecture formed a part of the joint project by RNH and AECR, the Alliance of European Conservatives and Reformists, on “Europe, Iceland, and the Future of Capitalism”.